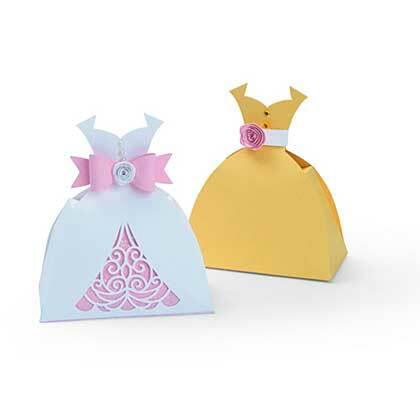 Cute design for party favours : bridal shower, wedding etc and prom gifts. The dies are designed to cut, emboss or stencil a single sheet of paper, cardstock, vellum or metallic foil. This package contains 7 thinlit dies. The assembled dimensions are 3.5" x 4" x 1.75".